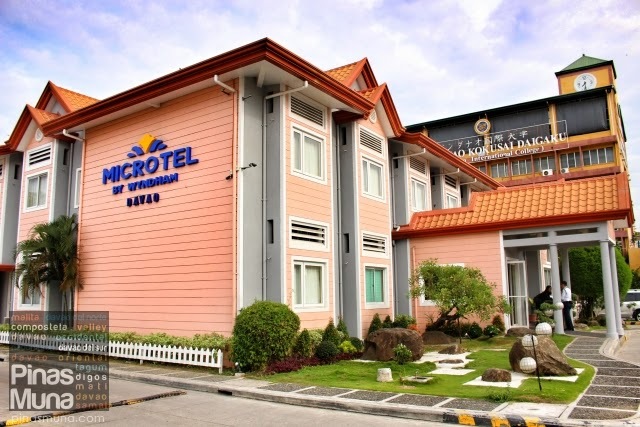 Microtel by Wyndham - Davao is a 51-room hotel located in Damosa Gateway Complex in Davao's Lanang district, a bustling commercial zone between the downtown area, the airport and seaports. In its immediate vicinity are corporate offices, restaurants and shopping establishments. 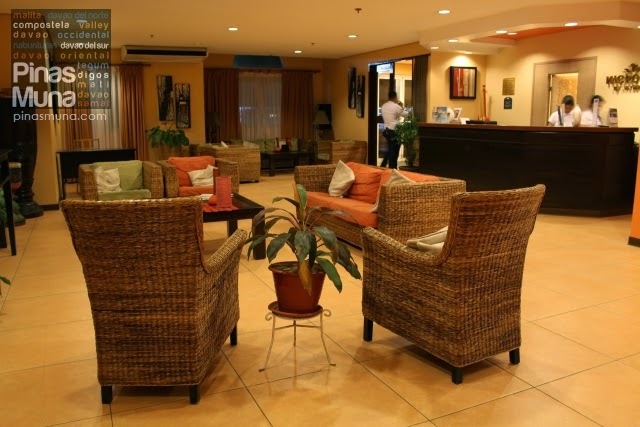 The hotel is accessible via J.P. Laurel Avenue where most of Davao's upscale commercial centers are located. We arrived at Microtel Davao at 4:00pm coming from a tiring trip to Samal Island. Thanks to the speedy check-in process, our room was ready in a matter of minutes. We also appreciate it that the hotel issued us two electronic key cards. Should one of us needed to go out of the room, there's an extra key card. Very convenient indeed. We also notice the courtesy and friendliness of the staff. The housekeeping personnel up to the hotel manager are all very accommodating. 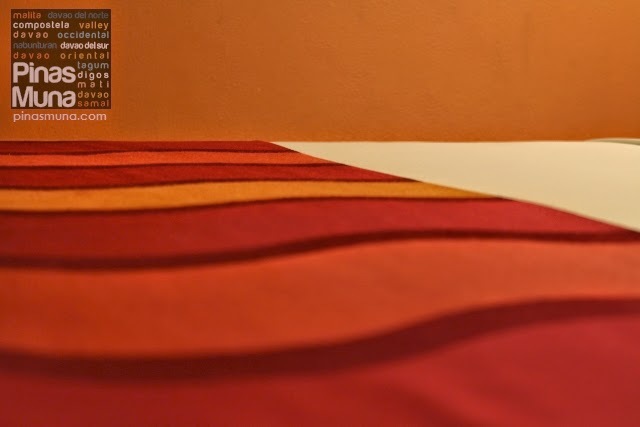 When we entered our room, the first thing we noticed was the color of the walls and of the bed runners. 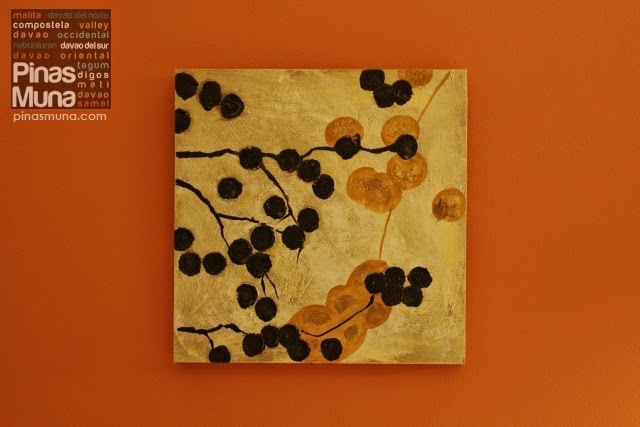 The warm tones of orange and red gave the room a cozy ambiance. 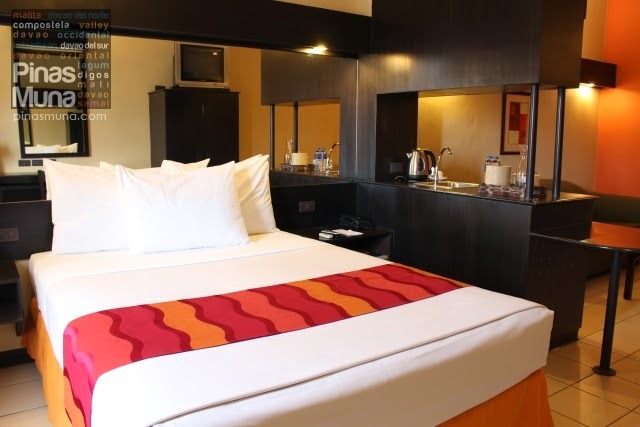 Cleanliness of the room is also very commendable. The pillows and the bedsheets smelled fresh while the tabletops are dust-free. The floor also looked clean that you can walk around the room barefoot. 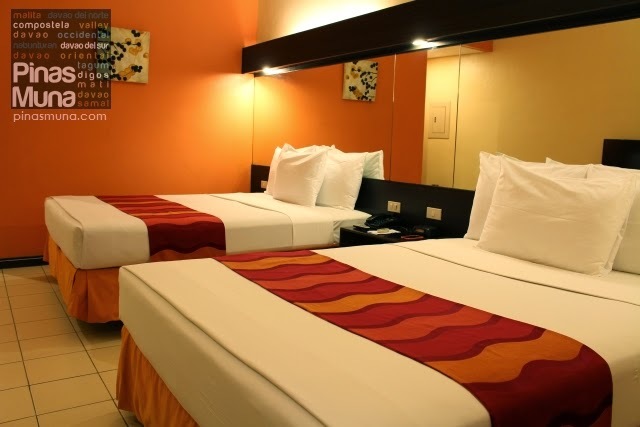 Microtel Davao, like all Microtel properties, feature beds with chiropractor-approved mattresses. This guarantees guests with a relaxing sleep. We wanted to take some rest after we checked-in. Almost automatically, we slept immediately after we lie down on our bed. It was already 7:00pm when we woke up and we really felt rested. Their beds were that comfortable! We were booked in a Double Room. It had two queen-size beds that can comfortably fit two to four guests. The room was also very spacious at 25 sqm. 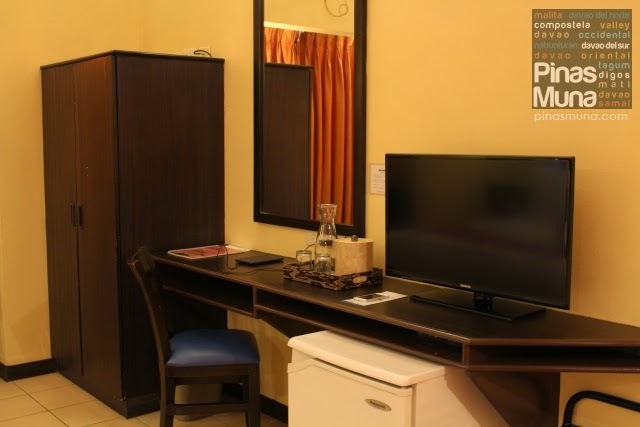 The room is also equipped with an individually controlled air-conditioning unit, TV with cable channels, refrigerator and telephone. There's also a spacious study table and wardrobe cabinet. While getting ready for dinner, we noticed the cleanliness inside the bathroom. It looked well-maintained. There's hot and cold shower and the water pressure was excellent. The towels also smelled clean and fresh. 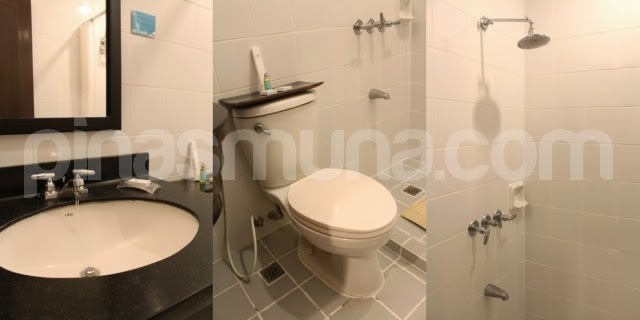 Another thing that we also like about Microtel is that their toilets are equipped with bidet. This is something that many hotels, even the high end ones, don't have in their bathrooms. Our accommodation comes with complimentary breakfast at the hotel. They served buffet style breakfast with wide selection of food items. 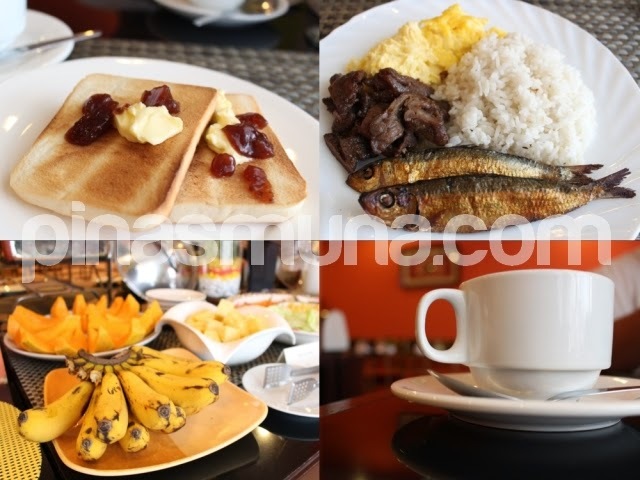 For a light breakfast, there's an assortment of bread and jams, cereals and fresh fruits. If you prefer heavy breakfast, you can choose among the a variety of viands which can either pair with plain rice or fried rice. After breakfast, we also got the chance to view their Suite Room. 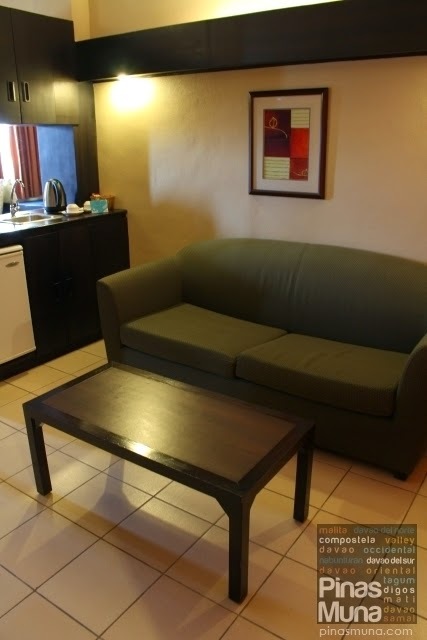 It has one queen-size bed and a living area with sofa and coffee table. The total floor area is 30 sqm. 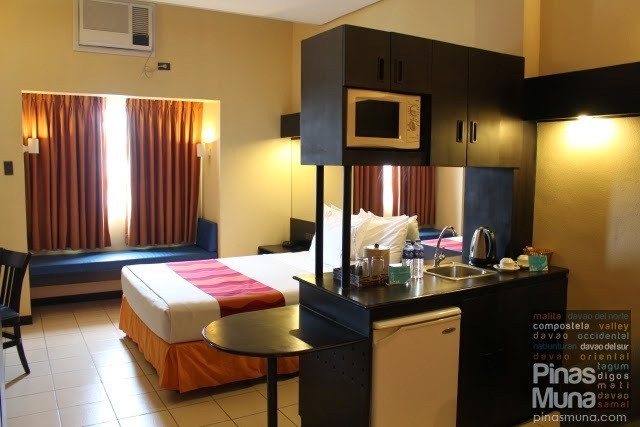 In addition to the standard room amenities, Suite Rooms also have a kitchen counter area with sink, microwave oven, and coffee/tea making facilities. The Suite Room also has a sofa sleeper. The room can accommodate two to four guests. 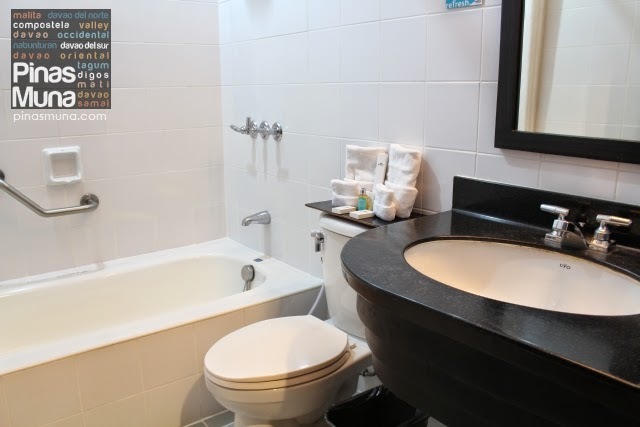 The ensuite bathroom of the Suite Room also has hot and cold shower, toilet with bidet, but the highlight of the Suite Room's bathroom is the tub. 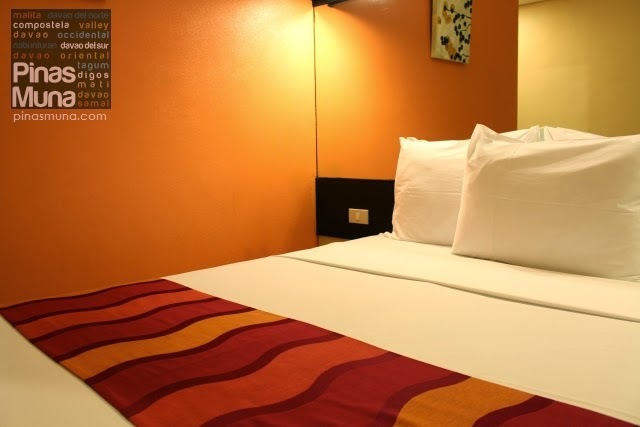 Microtel Davao has a total of 43 Double Rooms, 6 Suite Rooms and in compliance with international standards, they also have two units of Accessible Rooms. 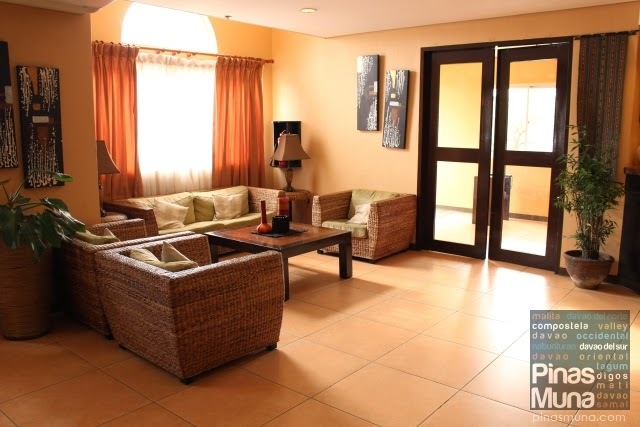 Guests should note that Davao has a city ordinance which disallows smoking inside the hotel. Microtel Davao has designated areas for smoking. 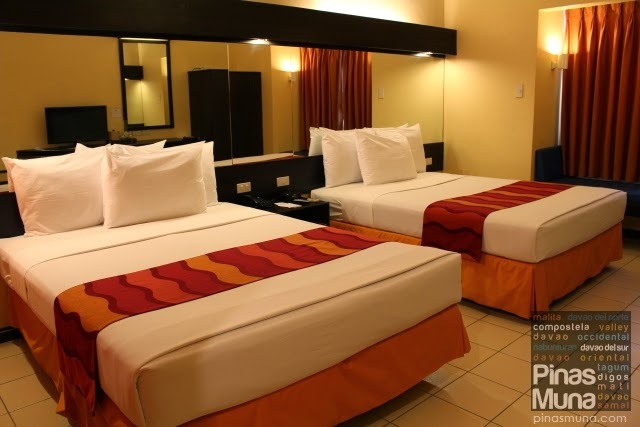 Microtel Davao is ideal for tourists and business travelers who are looking for affordable luxury accommodation in Davao City that is matched with comfort and convenience. 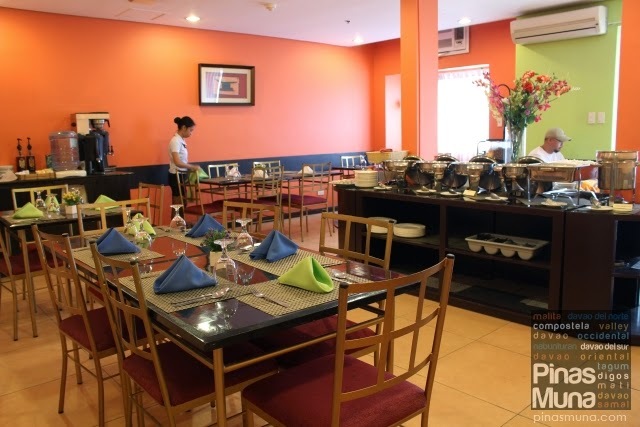 We invite you to experience Microtel Davao yourself and be among their many satisfied guests. Hi! Is Microtel located near the venue of the Kadayawan Street Dance competition?